Their first design to be worn consistently was a black and white striped jacket (first worn 9 months before Collingwood formed and adopted a similar uniform). 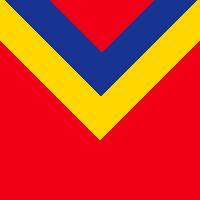 In 1907-08 football led a push for a uniform set of colours to be adopted by South Australian representative teams. This resulted in a number of chocolate brown and turquoise blue uniforms over the next twenty years.